Business process management (BPM) is all about improving organizational performance by optimizing the processes used in everyday business. With planned, efficient, streamlined processes, companies are better able to meet or exceed their obligations. The results of outstanding BPM can include lower cost and higher revenues. Often, businesses turn to BPM once they’ve identified an area or process that needs improvement. BPM software offers tools that allow companies to create efficient workflows that increase productivity and reduce errors. 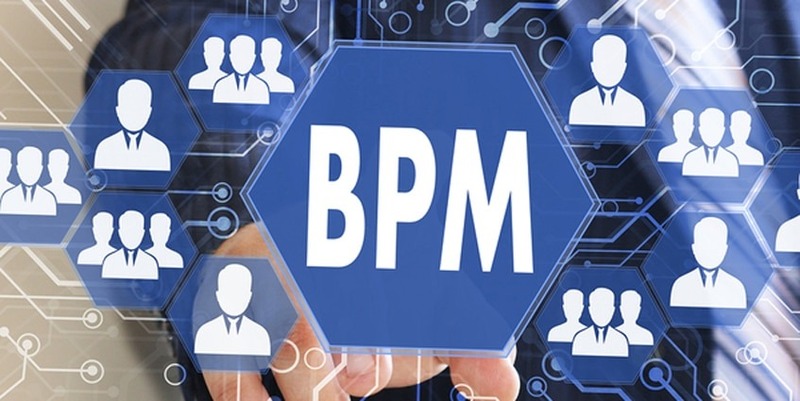 Used in coordination with human-driven processes, BPM software can significantly accelerate workflows by automating processes, defining and assigning steps in processes, and delivering alerts to the appropriate people when triggering events occur. Here are 6 ways good BPM software can kickstart your company’s efficiency. Every business wants to trim the fat, but at some point slashing budgets is no longer practical. Outstanding BPM software, however, allows organizations to maximize the efficiency of the costs they cannot avoid. When workflows are coordinated and streamlined using BPM software that includes features like real-time analytics and reporting, work teams can collaborate more effectively, saving time and bringing costs down considerably. Suppose a company is experiencing inefficiencies due to handling of billing disputes. They can use BPM software to identify, for example, duplicate billing issues with a single client. A carefully engineered billing dispute workflow ensures consistency in researching disputes, and better decision-making based on the results of that process. The result is a billing process that goes beyond being “reactive” to being planned and implemented with consistency, so both employees and customers know what to expect when an incident arises and can handle it appropriately and consistently. Processes sometimes need to change, and good BPM software makes change easier to implement. By the same token, if you use BPM software to define a workflow in one department and find it to be remarkably successful, you can use the software to create a similar workflow customized for another department. Workflows can be created for individual projects as well, keeping them on track and allowing easy analysis and reporting throughout the lifecycle of the project. Many businesses, especially those in medicine, government, and finance, are subject to strict regulatory requirements, and in some industries, these regulations change frequently. A superior BPM software solution allows these companies to handle the effects of regulatory changes on workflows easily. By ensuring workflows are consistent with the latest in regulatory requirements, BPM software keeps processes from derailing while preventing costly regulatory violations. BPM software can be used to create customer service workflows that ensure consistency in customer service. It can be used to create workflows that ensure customers are heard, and that their complaints or concerns are routed to the proper contact person, department, or customer service representative. Defined workflows for customer service prevent customers from “falling through the cracks” and can be set up to automatically alert key personnel should problems in the workflow arise. When workflows make sense and are consistent, employees have a better idea of what to expect in their day-to-day tasks. Clearly defined and documented workflows that are effectively managed by BPM software help ensure that employees don’t waste time on cumbersome or inefficient procedures. A great BPM solution lets staff members focus on their tasks, with the information they need in one place, setting the stage for a happier, more rewarding work environment and motivated employees. Even the smallest start-up business may have complicated processes. Defining and regularizing these processes help employees perform at their most efficient, can prevent costly errors, and ultimately result in improved revenues. BPM software isn’t just for huge enterprises.� PerfectForms software includes powerful� BPM tools with drag-and-drop convenience, so you won’t have to devote critical IT resources to developing systems for managing processes and workflows. Whatever your industry,� PerfectForms empowers you to optimize workflows with easy-to-user BPM software that can be customized to suit your particular process requirements. This entry was posted on Wednesday, February 18th, 2015 at 1:22 am	and is filed under Workflow Software. You can follow any responses to this entry through the RSS 2.0 feed.